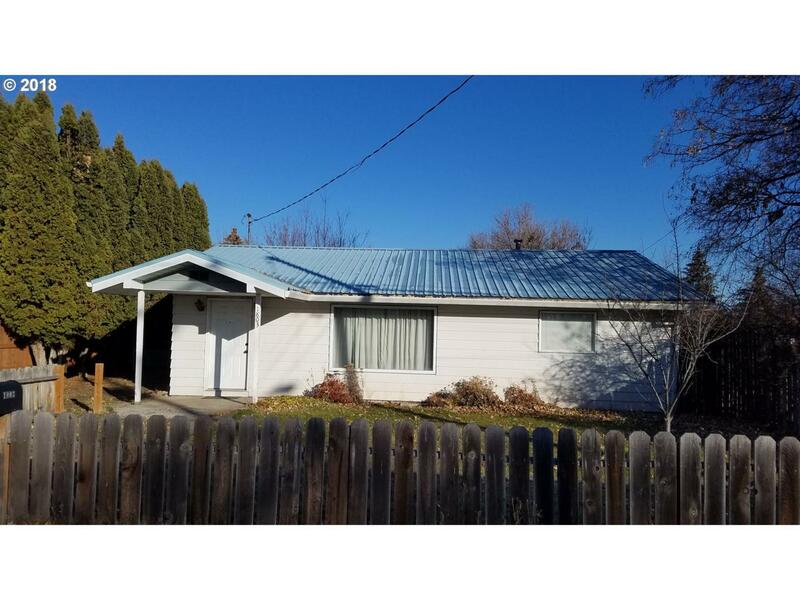 Looking for a great 2 bedroom, 1 bath home? Look no further! This house has laminate floors throughout the bedrooms and living room and tile flooring the in the kitchen. The house also features a metal roof, vinyl windows large fenced back yard with fruit trees and detached garage. Listing provided courtesy of Century 21 Eagle Cap Realty.